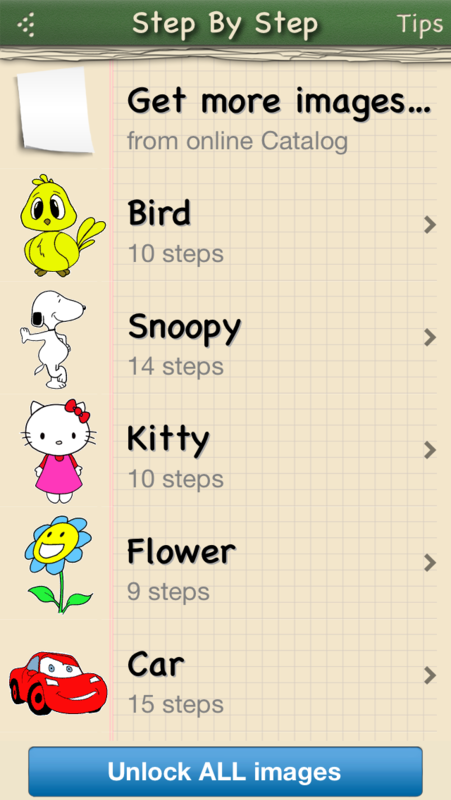 Install «How To Draw» app from iTunes and run. 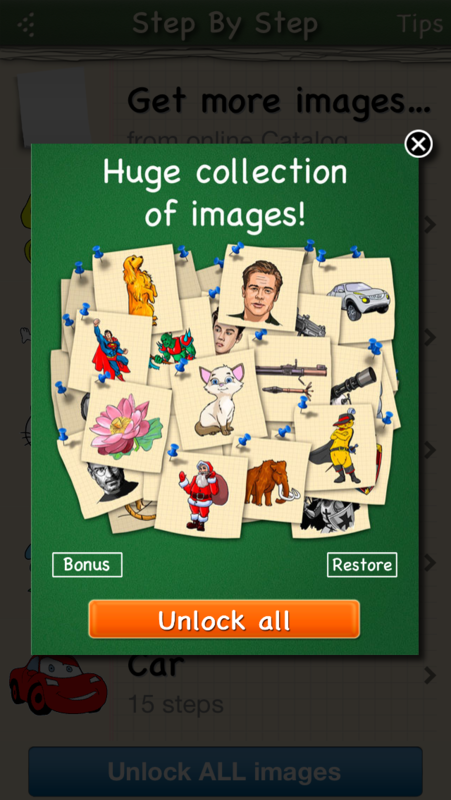 Press «Unlock All images» button. You will see the «Purchase screen» opened. Press «Bonus» button and enter the Bonus Code. 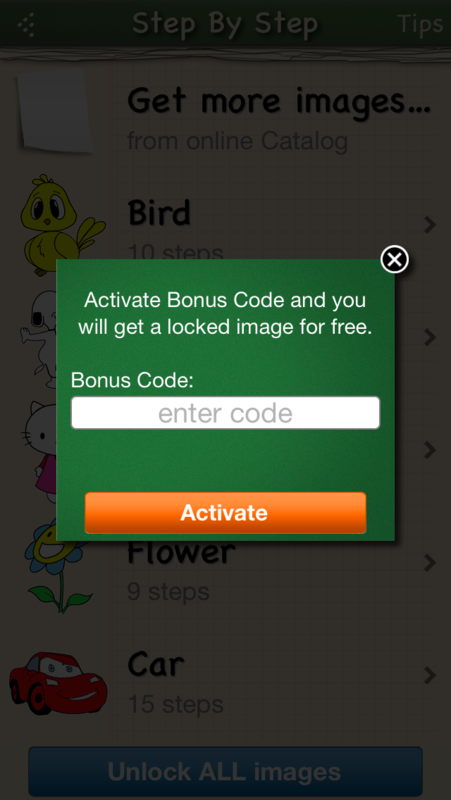 When you activate the Bonus Code, you will get one locked image for free.